The combinations are endless with what you can use in infused water. 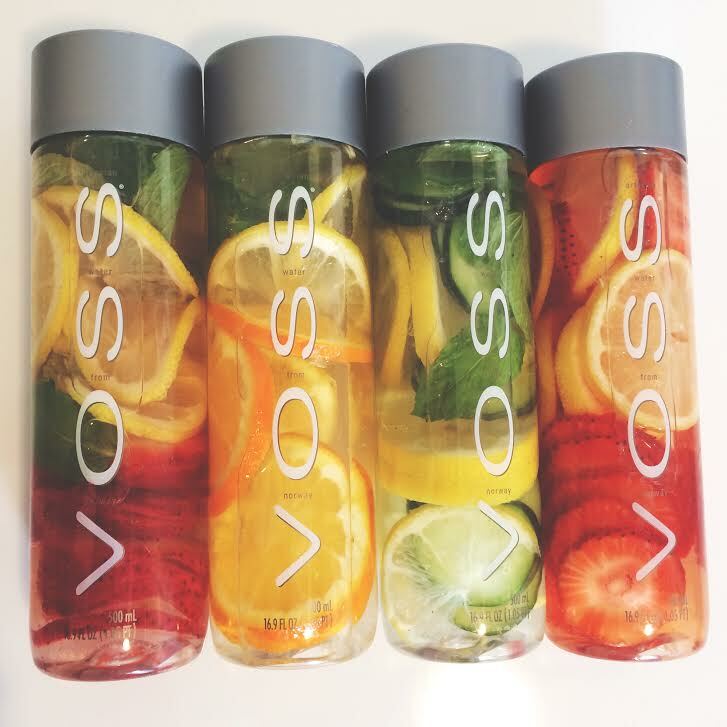 When you’re making them for on-the-go, these Voss Water bottles are great! With a wider mouth opening than most water bottles, they make it easier to fill with your fruit.